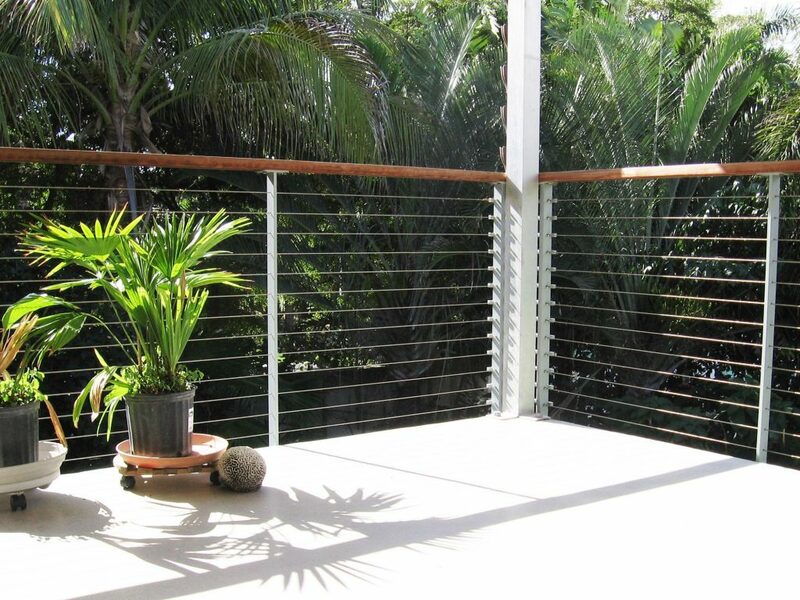 Material and Finish: "Sparkle Silver" powder-coated aluminum posts with wood top rail. 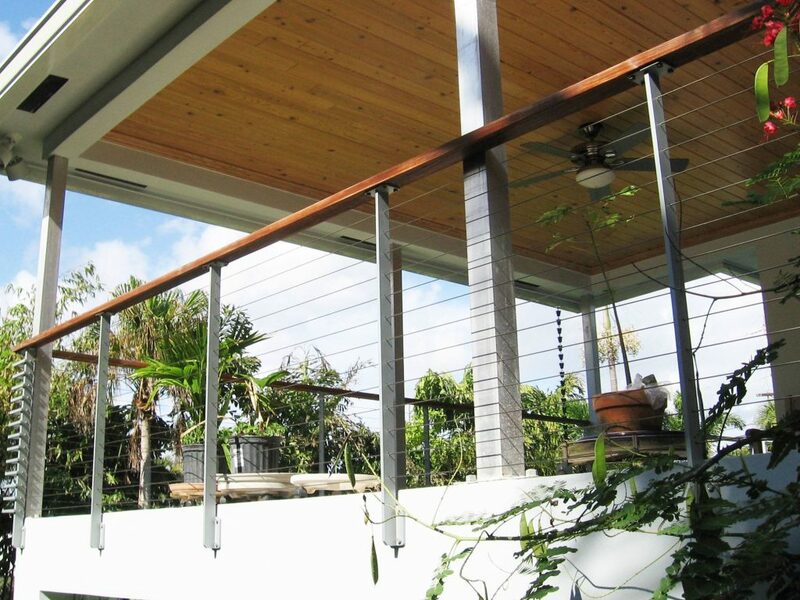 For their exterior deck railing, our client wanted a railing that appears as transparent as possible. 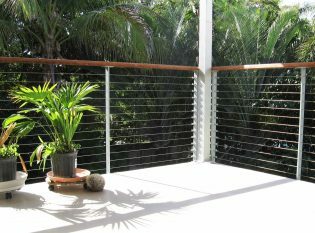 They opted for our modern Tokyo Style cable railing design. 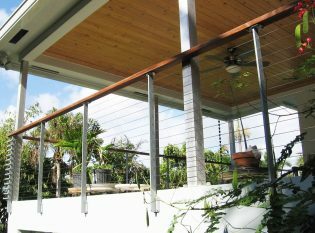 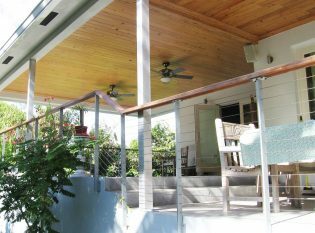 Because of the home’s saltwater environment, we crafted the railing posts from aluminum and had a silver powder coat applied.